Strauss-Johann2 - List of works. Best Classical Tunes. 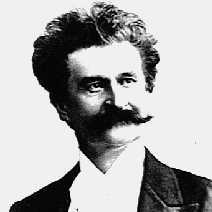 Johann Strauss II was born in Vienna, Austria in 1825, and died there in 1899. He is sometimes labelled Johann junior, to distinguish him from his famous father Johann Strauss I. However, Johann junior is the most famous member of the highly musical Strauss family. He is the "Waltz King", whose famous Viennese waltzes include The Blue Danube, Voices of Spring, and Tales of the Vienna Woods. He also wrote the operetta Die Fledermaus. His father, Johann I (or Johann the elder) was a dance orchestra director, and Johann Junior followed in his father's footsteps at the age of 19 by forming his very own orchestra. For a while father and son maintained rival orchestras in Vienna. After his father died, these two orchestras amalgamated. He toured Europe, and wrote a great many waltzes and other music. He was also a successful musical entrepreneur, and became very rich, in contrast to the poor fate of many earlier Austrian composers! His melodic invention and orchestration skills were superb, and today his music is heard in the concert hall instead of on the dance floor. Works written by Strauss-Johann2 Audio is available for 21 tunes by this composer.